✅ Trip Verified | Absolutely terrible. Staff barely speaks English and is quite rude. Very robotlike. Just keep repeating the same answer even if you ask them a different question or clarify. When people jump queues no one says anything. Long queues. Unclear signing for transit passenger. Is this really the best China can do? 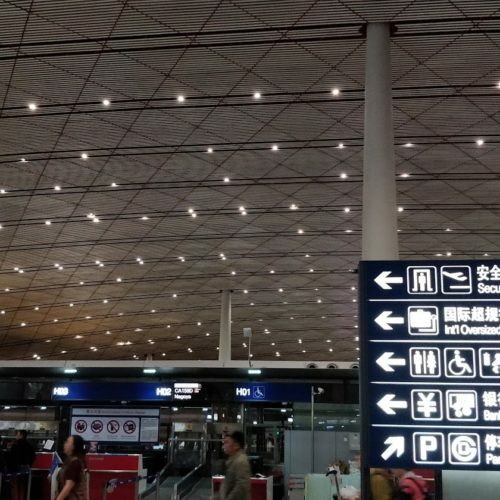 ✅ Trip Verified | My experience at T3E Beijing airport was not bad. Positives: The terminal is big, and with plenty to explore and stretch your legs. Water and food, chilled filtered drinking fountains every other 50 meters or so, and there's plenty of cafes. 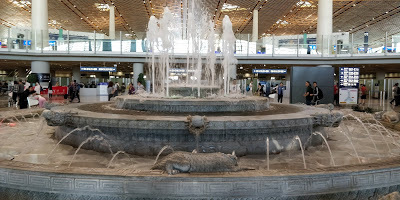 Easy to navigate, yes the terminal is huge but the maps are fairly frequent and easy to understand, any experienced traveler should have no issue. It's chilly, maybe due to the large size, or the lack of people at the hour we flew in but I certainly felt the chill. Bring a hoodie. Staff language limitation, now this one is partially on me because they might not speak English much but I don't speak Chinese, you can manage ordering with english menus and the old faithful "point and nod" method of ordering. For customs/immigration the staff will give you the rundown for a transit visa, and otherwise it's fairly straight forward and not much talking needed. Wifi is a bit of a pain to rangle, you either have to submit your passport at a machine to get a wifi code, or put your phone number in on a web portal to get a code, and as for VPN's your mileage may vary, I had the best luck routing through Luxembourg. 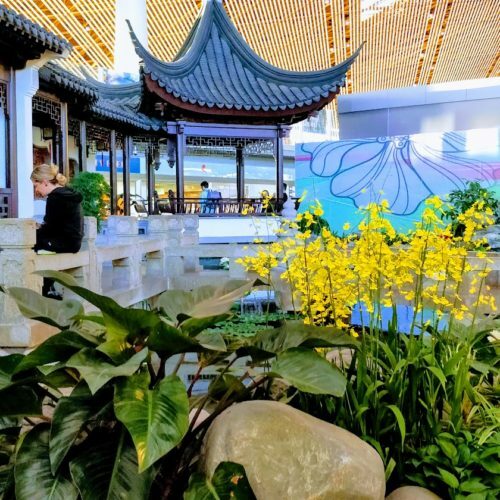 Chinese garden, there's a Chinese Garden area right at the centre of the terminal with a koi pond and everything, very relaxing place to sneak a nap. Phone charging, there are phone charging stations every other row of seats near the gates. 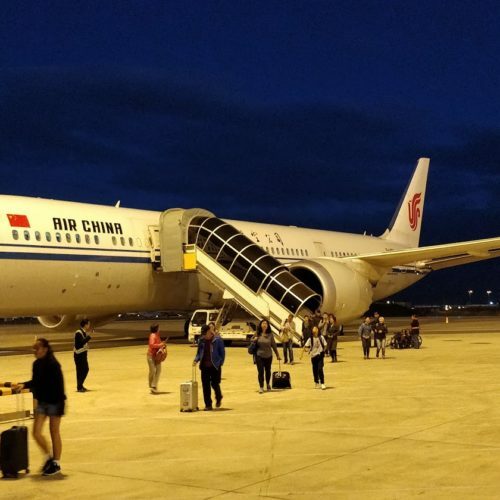 Power banks, keep in mind the Chinese Goverments restrictions of power banks on all flights departing China, and make sure your power bank has it's rating and capacity written on the outside or it will be confiscated by security (even if you're transiting). I found a lot of the customs/immigration staff did not have much/any english so expect to do a lot of navigating solo, and do your research in advance on the customs/immigration process, if you do need a hand navigating Airline staff is your best bet as they usually have better english. "will avoid the airport at all costs"
✅ Trip Verified | The airport is very cold, which makes longer layovers unbearable. Some parts are dirty. The security staff are unfriendly, impolite and constantly shouting. Items are randomly taken away from you, like in my case, a 50ml hair spray, one time, and a small powerbank of which the print wasn’t very readable anymore, another time. Even though I provided an order confirmation with technical details and a picture of the item, I couldn’t keep it. Decisions are made by the officer’s mood. With longer layovers, visa officers sometimes refuse to issue a 24hr visa, if the remaining time is less than 9/10 hrs - despite the travel time to the city center only being 30 minutes by train. The system for issuing the 24hr visa isn’t working sometimes, which leads to long waiting times. Only plus at this airport is, that the toilets are relatively clean and that there is WiFi. I will avoid the airport at all costs in future. ✅ Trip Verified | It was a unforgettable experience. Our first flight was late and we don't have enough time to transfer. We already prepared to change another plane, but when we arrived we see a staff already there and tell us he will help us until the last. He really did help us step by step to make sure we can go very quickly. After we reached the gate we still have ten minutes to fly. ✅ Trip Verified | As the capital city airport this is a disgrace, especially compared to Shanghai Hongqiao or Guangzhou. Beijing Airport is dirty, the security and immigration queues are awful, anf the whole experience is terrible. Avoid flying here if you can. Not Verified | I travel through this airport at least once per month. Food, dining and shopping options are limited, slow and repetitious. They do an okay job at keeping international flights on time, but immigration is slow, disorganized, sloppy, and generally rude (never a peaceful experience for me). Domestic flights are a horrible mess, delayed (sometimes by hours) more than not. The building looks impressive, but services are not. Very unpleasant experience. First I would like to emphasize that I like very much young and competent people. I went in my life through many security checks on many different airports. It is very clear to me how necessary they are and how to obey the applicable regulations. 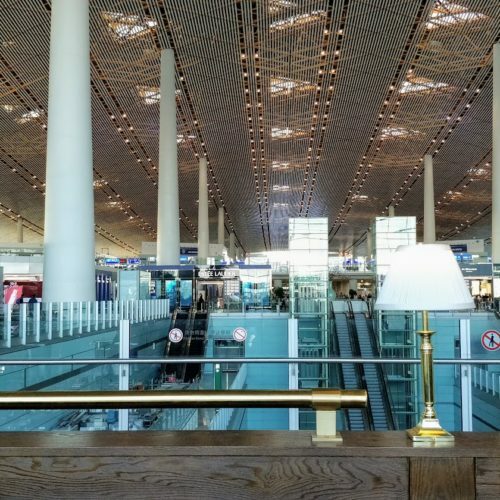 The way the security check was performed in Beijing at terminal 3 was extremely unpleasant and ignorant. Almost every single item was unpacked and checked in a way showing a big incompetence of the staff. Every single lens of my camera equipment was checked and handled leaving fingerprints on it in. Even my glasses were taken out of the case and examined as a potentially insecure object. The way it was executed was full of power and ignorance. After the security check was performed I went to the Sunrise duty free shop to buy some items. My credit card was immediately rejected at the cash point because of a wrong pin. So I paid in cash. Outside of China I could use the same credit card again. The applied exchange rate was rather unfavorable. I left the airport with an impression meeting one of the most impolite staff having big power over myself I never experienced so far. ✅ Trip Verified | This airport is poor for several reasons: 1) Overall cleanliness is terrible. 2) Food options are limited. The only fast food was KFC and of course there was a long line. 3) Above all, airport security. I waited in a long line that moved at a glacier pace for 20 minutes, when I reached the front of the line, the machine to take a photo of the passenger failed. We were all moved to a different location, and I moved from the front of the line to the back. If you need to transfer at Beijing Capital, you'll need at least 2 hours. Not Verified | Horrible place with no atmosphere. Freezing airport had to endure 10 hours as a stop over in a place where you need to wear a thick coat. Just nothing to do, kids play area was 20 foot square with just one slide suitable for a 1 year old. Shops, duty free and cafes were expensive. Going through security we were treated as poorly. Never again, no matter how cheap the airline is.